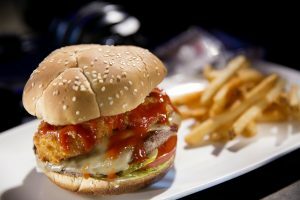 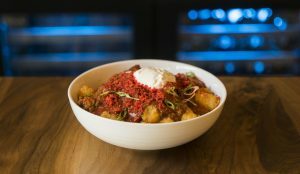 Benny’s Burgers: This classic burger, aptly named after the show’s family-owned diner, features a juicy beef burger served on a potato roll and a side of Tater Tots®. 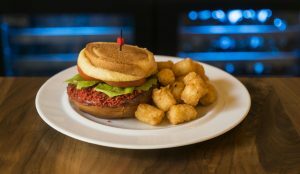 The Upside Down Burger: served “upside down,” this signature burger features spicy queso and Flamin’ Hot® Cheetos® served on a potato roll with lettuce, tomatoes and a side of Tater Tots. 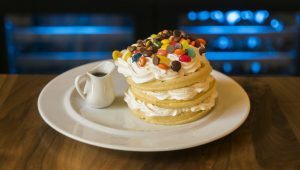 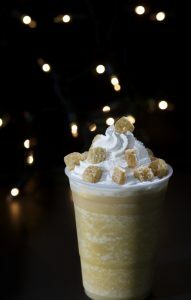 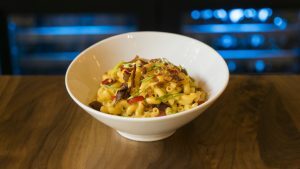 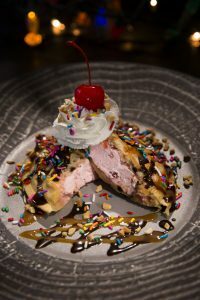 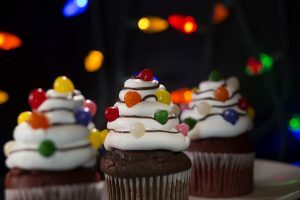 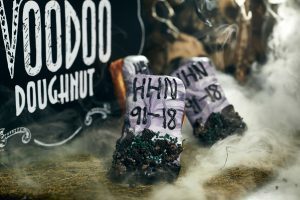 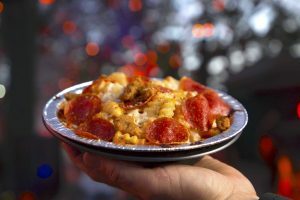 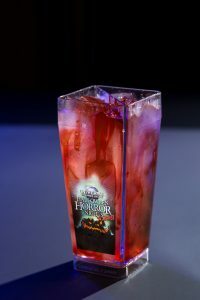 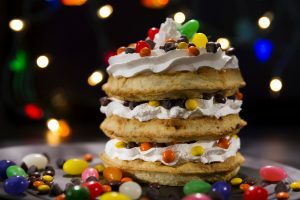 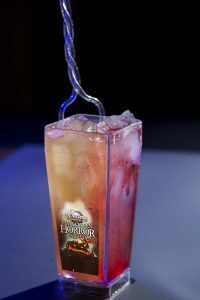 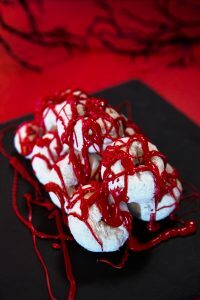 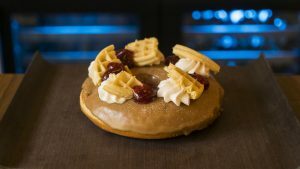 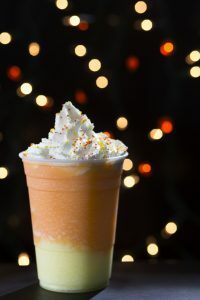 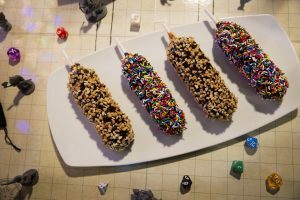 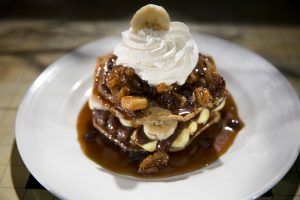 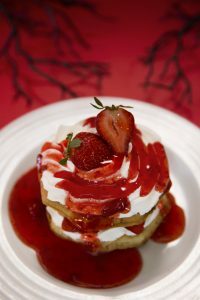 Universal Orlando’s “Halloween Horror Nights” will feature additional highly-themed food and beverages inspired by this year’s ‘80s theme and Halloween overall, including a unique Candy Corn frozen drink, a sweet and sour drink called “Gnarly Twist,” a special HHN Tombstone Doughnut at Voodoo Doughnut, and more. 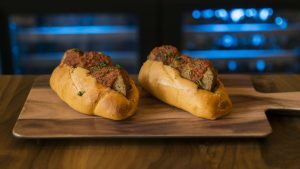 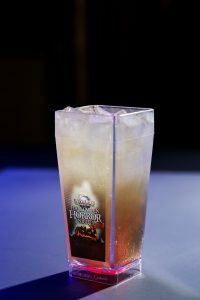 For a complete list of the highly-themed food and drinks available at Universal Orlando’s “Halloween Horror Nights,” click here.